I have to say it's not very often that I see a movie, think about it for 24 hours and find even more things to like about it. It's quite often the other way around. Going into a screening of Man of Steel, I was worried we were going to get too much of Christopher Nolan's Dark Knight angst and not enough of the charm that has made the character so endearing for seven decades. Not to worry though, Zack Snyder, David Goyer and Nolan have turned out a very well-balanced film full of action and real human emotion. By now, everyone must have an inkling of Superman's origin story, be it through the comics, the Christoper Reeve movies or TV's Smallville. It's certainly not something that needs to be retold again, taking up the first hour of the movie and boring the fans to tears (like The Amazing Spider-Man did). Snyder and Goyer have opened the film on the planet Krypton and followed the story of the planet's destruction (yes, regardless of the rumors, Krypton does indeed explode) quite closely to Richard Donner's 1978 film … yet it somehow doesn't feel like a retread of something we've already seen. The credit goes to the totally different ecological system of the planet (no ice planet here), and the performances of Russell Crowe (Jor-El) and Michael Shannon (Zod). You know right from the start that Zod is badass, but even pacifist Jor-El engages in a smackdown against him before the Kryptonian council sends Zod and his people to the Phantom Zone. After baby Kal-El – the first natural born child on Krypton in centuries (they're all manufactured to perform various duties from floor sweeper to politician) – is sent to earth, we are mercifully spared his whole childhood and pick up with a grown Clark navigating life trying to keep his true abilities under wraps. Of course, he does something that gets nosy news reporter Lois Lane on his trail, and here the story does depart from the traditional mythology – Lois knows Clark Kent is not of this earth and he is forced to show her what he can do. It's so refreshing to not have to deal with the whole "why is Lois so stupid that she can't see Clark is Superman" thing. It's like a weight has been completely lifted off of the story, and when Zod and his army arrive on earth (and their escape from the Phantom Zone is very well explained), Lois is just as important to stopping them as is Kal-El (only referred to as Superman in one scene by military personnel). Once Zod arrives, the film kicks into high gear with an epic battle that stretches from Smallville's Main Street to the center of Metropolis. The question is why does Zod want Kal-El so badly (no, not for revenge for his time in the Phantom Zone), and what are his plans for earth? It's actually quite a chilling scenario that is going to take teamwork from Kal-El, Lois and the military to stop. 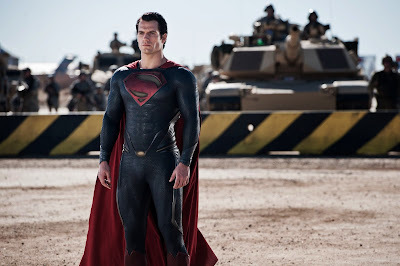 I have complained about how Star Trek Into Darkness was nothing more than a rehash of Star Trek II: The Wrath of Khan, and if you want to come right down to it, Man of Steel is pretty much a rehash of parts of Superman: The Movie and Superman II. But, whereas I was angry with the direction Star Trek went with the story (if you're going to intentionally break away from the original timeline, then give us original stories, for Pete's sake), I found a lot to like about the way the material was handled in Man of Steel. Did we need to see Zod again? Maybe not, but in the context of this being an "origin" story, it was necessary since he is the most recognizable Kryptonian villain and there is a reason he's on Kal-El's tail. Thankfully, there is no Lex Luthor, although there are references to LexCorp a couple of times. There is also just enough material in the film that will take long-time fans back to the first two Christopher Reeve movies, but it never feels like it's just there to pander to the fans (I liked that the first time we see Lois, she's getting out of a helicopter instead of into one). And Snyder and his team have managed to ground the film in reality outside of the almost way over-the-top battle between Kal-El and Zod. Scenes with Clark and his mother, or just quiet moments between him and Lois feel authentic, as do the flashbacks to his youth (well, except for the new version of Pa Kent's death), and the actors are playing the characters as if they were in anything but a superhero movie. They're certainly not as earnest as any of the Dark Knight characters, but I totally appreciated the genuine human emotion they bring to the characters. Besides the crazy, Metropolis-leveling battle, my only real eye-rolling moment was when they seemed to go out of their way to let us know this "savior of earth" is 33 years old. I know there have been correlations to Kal-El and Jesus in the past, but this little bit of info was just a bit ham-fisted. Other than that, and the wretched 3D conversion (we had to wait a whole year for that?! 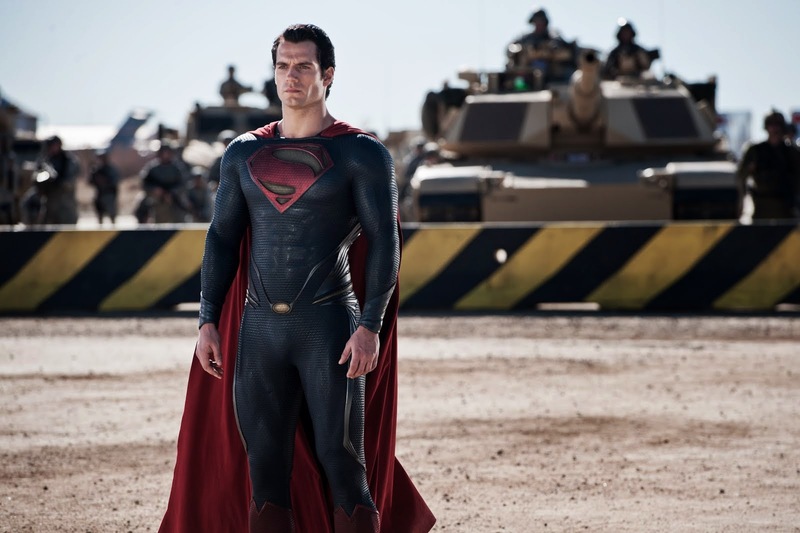 ), Man of Steel ranks up there with the best of the superhero films, but the question now is with Kal-El having already saved the planet from an alien invasion of sorts, where can he go next? The Reeve Superman was able to rescue kitties from trees and save California from destruction at the same time, so I hope we get more of those small, charming moments in the next film (already in pre-production). We've seen what the excellent Henry Cavill can do with the character (and he sells one particularly gut-wrenching moment that drew gasps from some audience members, including myself), and I am more than ready to see where he and Kal-El will go next.